If you remember, a few days ago we talked extensively about security tokens. If you haven’t heard about that from me, this article might not make much sense to you. Therefore, this should help: What Are Security Tokens & Why Market Is Bullish About It? I strongly recommend you to read about security tokens (the link above) because many industry experts are bullish about them. Moreover, this is going to be a whole new world of cryptographic tokens which will be thoroughly regulated. So the chances of a lot of institutional money flowing into them are quite high. And for this, we need high-frequency trading platforms that can comply with regulations and provide sufficient liquidity for security tokens. We have started keeping an eye on infrastructure level developments such as security token exchanges. So let’s get in an see some of take a look at some pioneer exchanges for security tokens. tZero, a subsidiary of Overstock, is being designed in a very intuitive manner to trade security tokens specifically. tZero’s security token front-end makes trading security tokens easy, compliant and user-friendly. 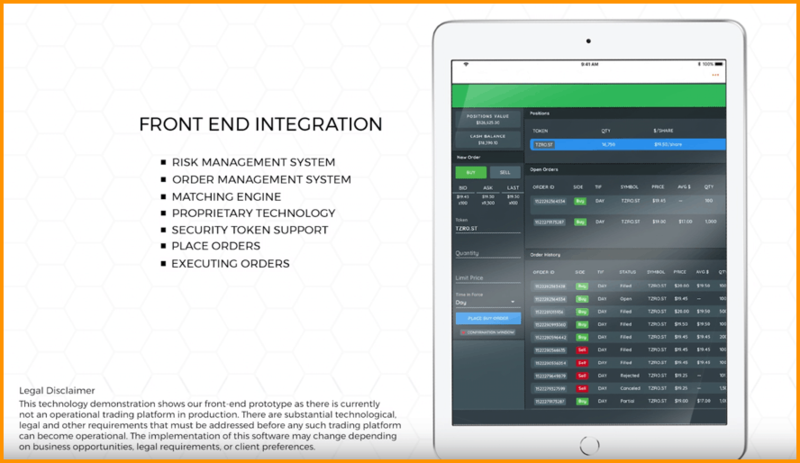 Plus, to enhance the security, tZero has integrated the existing 15c3-5 risk management software, order management system, matching engine, and a plethora of proprietary technology to support the eventual trading of security tokens. Also, their highly qualified has partnered with projects like Polymath. Moreover, with their backgrounds, they know what they are doing and how the whole ecosystem will develop in the future. Currently, tZERO’s private offering for the tZERO security token (TZRO) is currently underway and will end by August 2018, post which the trading platform will go live. Open finance network is another pioneer security token exchange which allows you to trade security tokens if you are a verified investor. The platform is live now and is the first US-based regulated security token trading platform, built for a tokenized future. 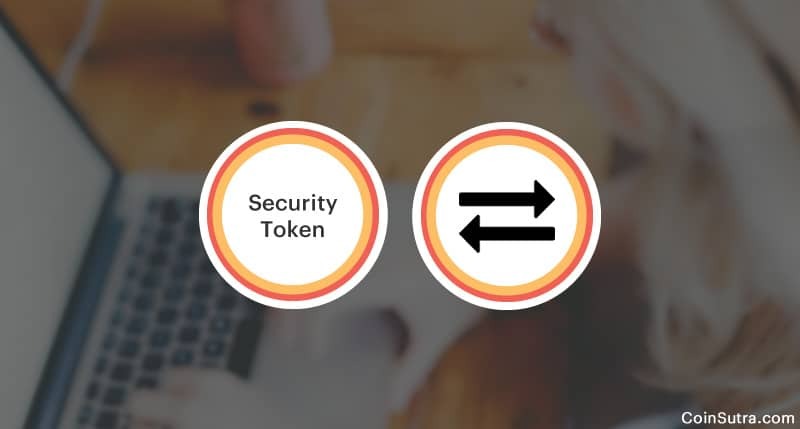 For listing your security token on OFN, the tokens should satisfy and fall under their security token listing framework which they have pre-defined. Also, they have relationships with leading brokerage houses, custodians, transfer agents, and banks. And ever since 2014, they have formed a core group of team of exchange technologists, securities lawyers, and trading veterans which will help them in making this niche also streamlined. BankToTheFuture is an innovative online investment platform for qualified investors. It has been quite a while since they have been at it and facilitating investments in Bitcoin, blockchain and other disruptive financial companies. Now, with the launch of their native token-BFT, they have gathered the largest community of high net worth individuals who are interested in investing in Fintech, Bitcoin & blockchain. In a much simpler form, it is a tokenized secondary market for investors who are ready to invest in futuristic projects which can issue security tokens, traditional bonds, shares, or other forms of digital securities. And in this way, it will also provide much-needed liquidity to new projects as new crypto capital will be eventually flowing in these markets. But only accredited investors with annual incomes over $200,000 can invest, and it should be $1000- $10,000 of investment. Bancor protocol is also joining the security token party. The Bancor Protocol is a new standard for cryptocurrencies called Smart Tokens™, which are autonomously and continuously convertible to other tokens in the network at algorithmically calculated rates. The security token’s world will leverage the same concept and security tokens have already started allocating some percentage to it. Hence, they will get the much-needed liquidity that they were looking for through Bancor protocol exchange. Your turn: What do you think about security tokens & security token exchanges? Did I miss other important security token exchanges? Do you see security token exchanges & security tokens becoming the next big thing? Share your views in the comments below.